5 Bedroom Detached House For Sale in Crewe for Offers Over £375,000. generous hallway, lovely lounge, dining/sitting room, study, open plan breakfast kitchen, dining area and garden room, utility and WC to the ground floor. To the first floor, a master bedroom with fitted wardrobes and large en-suite with bath and double shower, bedroom two with en-suite, a further three bedrooms and large bathroom with bath and double shower. 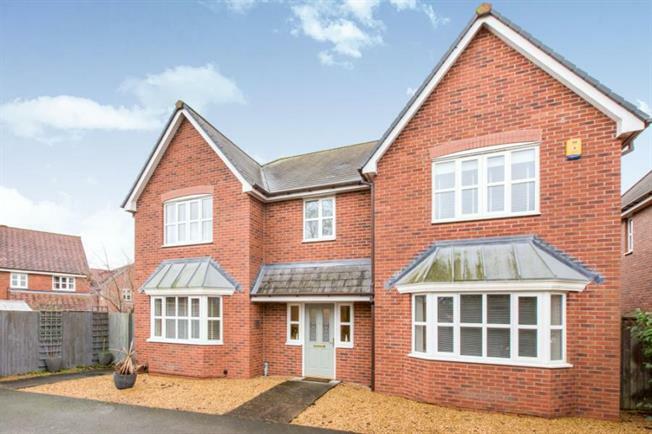 Externally there is a large driveway, double detached garage and landscaped gardens. This really is a hidden gem!